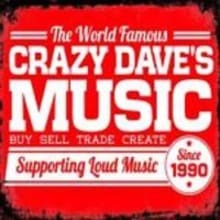 Thanks for considering Crazy Dave’s Music. We understand that what you buy is as important as who you buy it from. Thank you very much for giving us the opportunity to have you as a customer. All of our orders ship the following business day after payment is completed.